Yes we forget nearly all new lines have stuttering starts... I think the Victoria line started with a rather feeble Seven Sisters to Warren Street? First section was Walthamstow to Highbury. It was then extended to Warren Street, then Victoria. Brixton opened two years later. …..but unlike the Jubilee or Cross-Liz, it was never run in two separate sections. Thameslink was for a while, when the rebuilding of City station was in progress. For those of you able to draw on previous line openings and how they were phased - was there an instance of a line opening in fragments adjacent to each other? With the JLE the Stratford piece was very clearly disconnected from the old Jubilee. As much PR as there is about the Elizabeth line there will be plenty of people who will be expecting to go from Sheffield to central London direct this December and haven’t paid near as much attention as we have. The pictures of the platform line diagrams in Farringdon show the fully connected line and the wayfinding signage has Shenfield, Heathrow and Reading as destinations. Come December 9, it’ll be difficult to inform passengers of the current and future services without overloading them with too much information. Crossrail is going to Sheffield!? Funny to think the core section would have opened today! I'll look forward to that one amongst the Christmas crackers, then! 100% certain that I will not be around to see it in public service. For those who may be interested a shedload of Crossrail minutes and briefings have been placed on the TfL website today. As you might expect some of it is as dull as ditchwater and some is very interesting indeed. 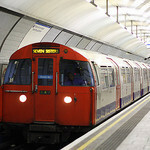 Follow this TfL website link and then select "C" from the A to Z drop down menu. Then page through until you get to Crossrail sections (pages 4 and 6 IIRC). There is a lot on the site now but NOT everything. One or two documents are conspicuously missing although the infamous 26 July 2018 briefing document is included. The Mayor's briefing notes do give some interesting insight into what has gone wrong with the testing phases, class 345 reliability and other things. It's also, if you've got any relevant railway knowledge and experience, a tad exasperating as to how people were still expecting major activities to "come right" at the last minute and for the operators to perform miracles in terms of handover. "Today the new Chief Executive of Crossrail, Mark Wild, also confirmed that having reviewed the work still required to complete the project, an Autumn 2019 opening date could no longer be committed to at this stage, and his team was working on a robust and deliverable schedule." "The emerging findings of the KPMG review into Crossrail Ltd's finances indicate the likely capital cost impact of the delay to the project announced in August could be in the region of between £1.6bn and £2bn. That includes the £300m already contributed by the Department for Transport (DfT) and TfL in July 2018, leaving an estimated £1.3bn to £1.7bn to complete the project."